I found this flower in the beds along the parking lot at a local Walmart. As much as I enjoy taking pictures of flowers, I should know more about them. I believe this is a lily, after that I am clueless. Any further information would be welcome. Thank you. I thought it was beautiful and I was thrilled with the picture. 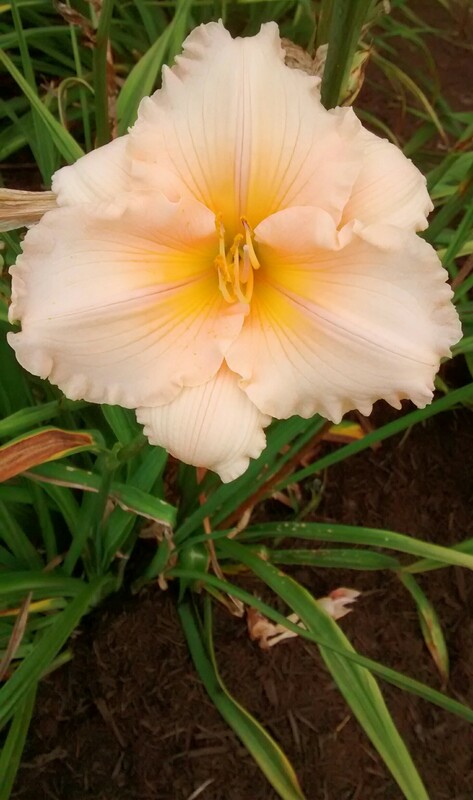 Beautiful image and your guess is spot on: I agree with the previous comment, must be a day lily (hemerocallis). I love them, have two plants in the garden, in different colours. It’s nice to know that somewhere in the world, there’s a parking lot with day lilies! Thank you! I love color, particularly in plants. This one is more subtle than some, but still beautiful. I must admit that there are times that I am in too big a hurry to notice the color around me. I love the moments when something catches my eye and allows me to slow down for a moment to enjoy the beauty of nature.